You probably wouldn't guess it if you live in the United States or Europe, but Huawei is actually a pretty big brand in Asia. In China, the national manufacturer controlled 15.7 percent of the smartphone market share in Q2 2015 — more than either Apple or Samsung and just shy of Xiaomi's 15.9 percent. This alone accounts for a significant part of why it's the third largest smartphone vendor in the world, with that only set to improve as Huawei expands into more countries across Europe and the Americas. 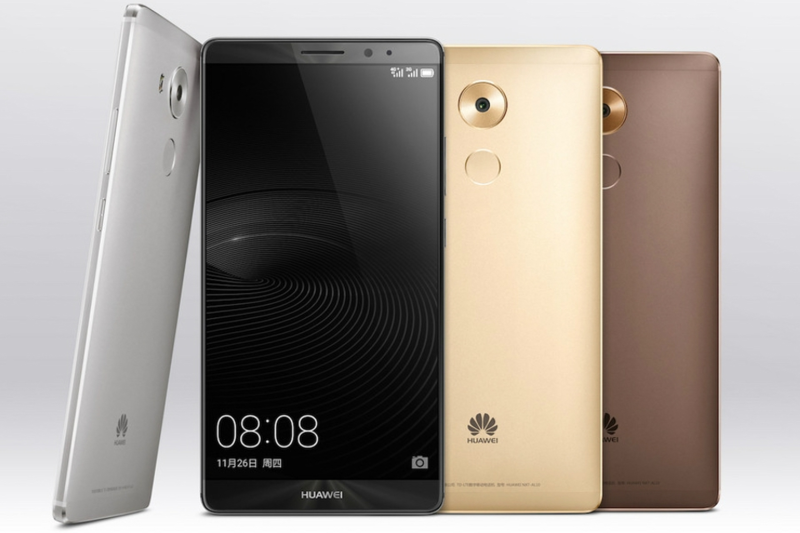 The newly announced Mate 8 is the flagship Huawei hopes will lead that expansion, and is the successor to last year's Ascend Mate 7, on which Google based the Nexus 6P. It seems that Huawei has chosen to drop the 'Ascend' moniker for the latest phone in its premium lineup, opting to refer exclusively to it as the 'Mate 8.' Aesthetically, the Mate 8 takes a lot of cues from its predecessor, with the same seamless aluminum design and a fingerprint sensor just below the rear camera. It sports a large 6-inch, 1080p LCD display like the Mate 7, with an equally gigantic 4000mAh battery to boot. Combined with the phone's small bezels, the large screen on the Mate 8 manages to bring its screen-to-bezel ratio up to 83 percent. 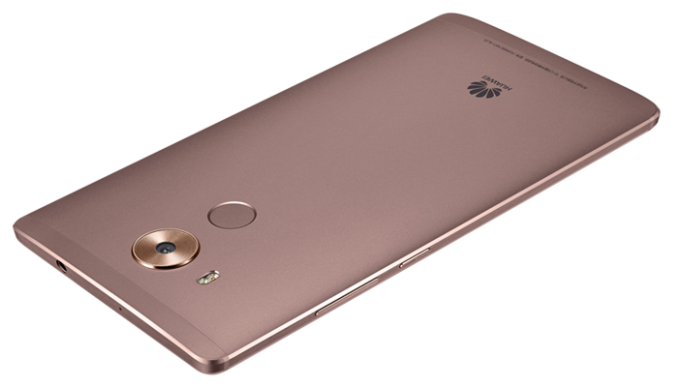 Internally, the Mate 8 features the brand-new Kirin 950 system on a chip (SoC) made by HiSilicon, a Huawei subsidiary. The Kirin 950 contains a CPU with four 2.3 GHz cores and four 1.8 GHz cores, as well as a Mali T880MP4 900 MHz GPU. 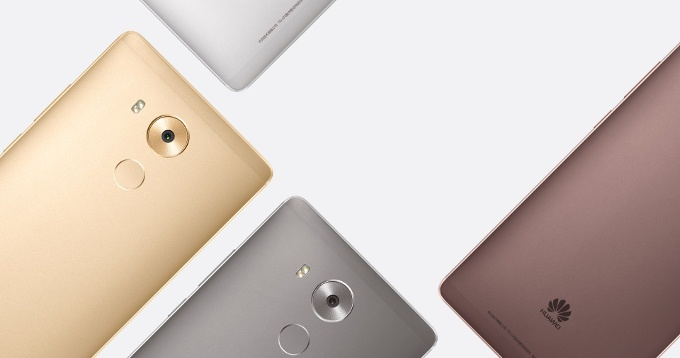 Huawei claims the efficiency of the chip will allow the battery on the Mate 8 to last up to 30% longer than on the Mate 7, which already had quite an impressive battery life. 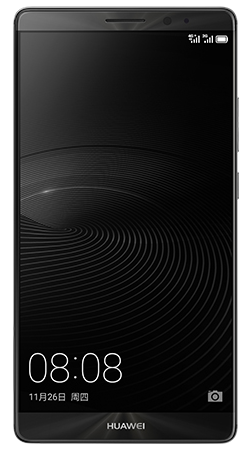 Additionally, the Mate 8 includes 3 to 4GB of RAM and configurations for 32, 64, and 128GB of onboard storage, with the option to add more using its microSD slot that doubles as a dual-SIM tray. The rear camera is equipped with a 16MP sensor with optical image stabilization, while the front camera has an 8MP sensor. The full list of specs is given below. The Mate 8 will run the latest Android 6.0 Marshmallow with Huawei's EMUI 4.0 skin, which includes features such as voice controls, a power-saving firewall, a defragmenter (¯\\_(ツ)_/¯), and eRecovery. 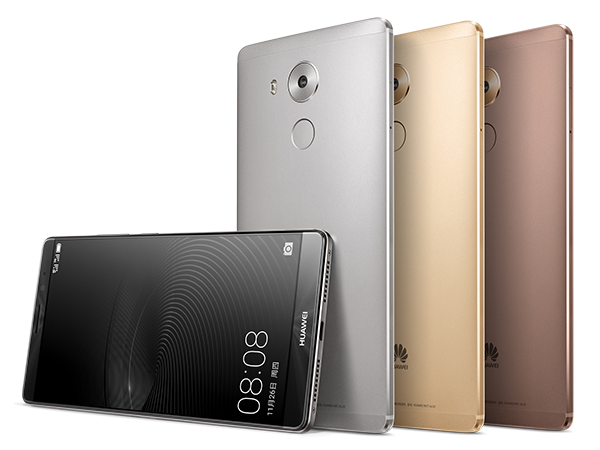 At least for now, the Mate 8 will only be sold in China starting in Q1 2016 after it's unveiled at CES 2016. It will be offered in four colors — Champagne Gold, Moonlight Silver, Space Gray, and Mocha Brown — and prices will range from ¥2999 (≈ $469) for the model with 3GB of RAM and 32GB of storage to ¥4399 (≈ $689) for 4GB of RAM and 128GB of storage.